Free Clubbing at Pacha - Information Desk! 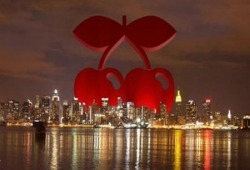 Check out Pacha's Manhattan club without paying cover! While everyone else is paying $40+ to get in the doors of this four story mega-club, hostelers get in for free. Each floor has a different style of music and decorations and they all stay open until 6am! The only string attached is that you must get into the club BEFORE midnight, or you'll be paying cover. For a cheap start to the evening check out our happy hours, which leave the hostel at 8pm and feature the cheapest drinks in the neighborhood.